Survivor Series is getting closer. 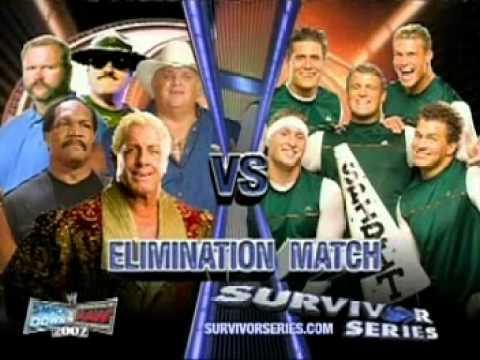 With the event getting even closer, I wanted to take a moment to look back at the Survivor Series teams. 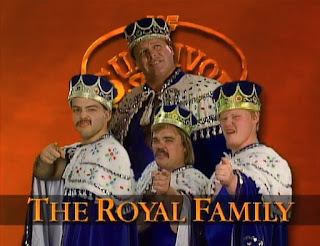 A few weeks ago, I looked at the best teams of all time, and now today, I wanted to look at the worst teams of all time for Survivor Series. This will be kept short and sweet of course, so let's get into it. There are a number of options, as there are more terrible teams than great ones, but a few obvious jobber teams won't make the list. Let's take a look at the worst teams. -This choice comes courtesy of what I like to consider one of the worst Survivor Series matches of all time (ALL TIME). It's quite simple. Both of these teams were embarrassments in every way. The match between these two went on for only 11 minutes, but when I watched it, I found myself bored to death. Both teams had notable names like Sgt. 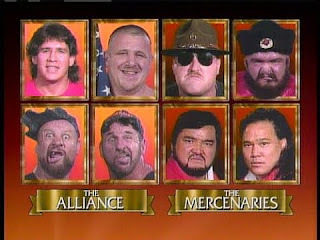 Slaughter, Tanaka, Tito Santana, and The Bushwhackers, but these were the two most random teams I think I've ever seen on the show..... which says a lot. -This team is included because it was the most disappointing of them all. When you think of a Survivor Series team, you want one that has power and dominance. This team however, had a lot of power..... and nothing else. Facing Team Angle at the 2003 event, they featured three jobbers, Big Show, and Brock Lesnar. This shows you how weak Smackdown was as 2004 was nearing, and the fact that their team lost in less than 15 minutes also shows how weak this team was. -Okay.... So, maybe the British Bulldog and Mean Street Posse is a better choice, or even another team from a different Survivor Series, but considering the fact this team was full of monsters essentially and they got destroyed.... this says more than enough IMO. To make matters worse, they all got destroyed by ONE MAN. There was no team on the other side, just the Big Show and these four men all got destroyed by Show in just 90 seconds. If that's not one of the most horrible outcomes for a Survivor Series team, then I don't know what is. 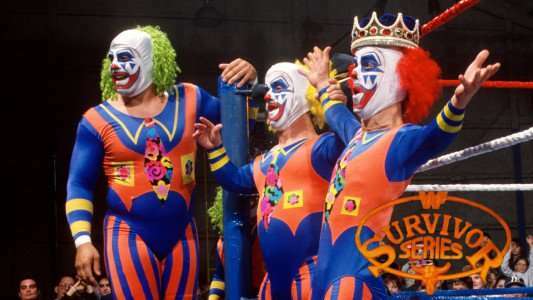 -Doink was terrible. He was horrible. He was a damn wrestling clown. While I could have looked at a lot of other teams, this is honestly one of the worst teams and things I've ever witnessed in my life as a wrestling fan. In addition to Doink, there was Dink, Pink, and Wink..... which is just..... like.... I can't even begin to explain. Whatever the case is, the group of clowns would lose their match to Jerry Lawler and his own royal brand of midgets.... making this the most awkward match of all time honestly. 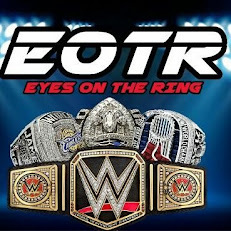 What were they thinking in the WWE way back when? One can't help but wonder. Please avoid this at all costs. -I will keep this simple. I hate and will always hate the Spirit Squad. The fact that this was the entire team and they went up against washed and old legends says so much more than I can in this paragraph. The four members of the Spirit Squad went 11 minutes with legends Sgt. Slaughter, Ron Simmons, Dusty Rhodes, and Ric Flair, and they would end up being mostly all eliminated by Flair. Flair would end up eliminating the three remaining members of the Squad after his partners were eliminated, making them even worse than any others on this list. Not only did they lose, they lost on a 3 on 1 advantage to an old and near retirement Ric Flair. 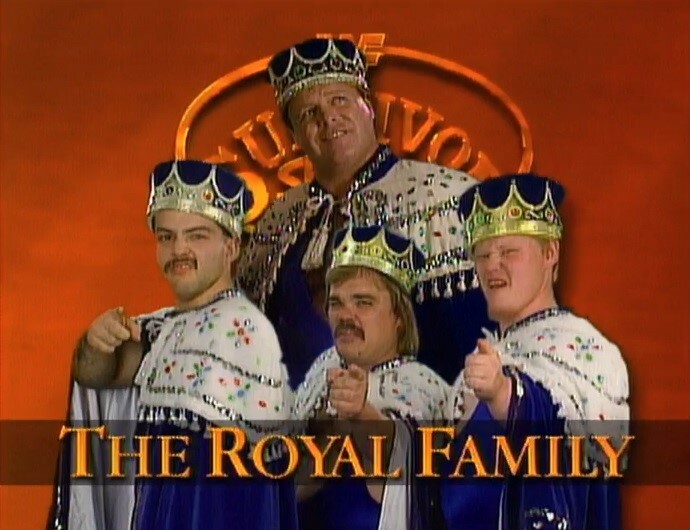 There are many terrible Survivor Series Teams, but this takes the cake.